In the present scenario, a wave of new eLearning tools has helped Learning and Development professionals avoid repetitive classroom training. Instead of standing in a conference room full of employees each quarter, trainers can now present the curriculum via online video presentations and interactive eLearning, and check for comprehension with interactive quizzes and games. In this article I will show you 7 areas in which you can use eLearning as a tool to achieve Learning and Development success. Not only has eLearning made the work of Learning and Development professionals more scalable, it has also made the content they produce better. By making lessons available on demand, Learning and Development professionals have ensured that employees can review whatever content they need, and learn anytime, anywhere with ease. Mobile learning is the next step for this industry, whereas game-based learning apps can be a great use of technology for future generations. From software training to regulatory compliance, eLearning has transformed the way companies train. eLearning can be useful when job functions are scalable and spending Learning and Development resources on training materials makes sense. Customer Service representatives, Human Resources coordinators, and Inside Sales representatives -any job function that needs to be executed consistently by dozens or hundreds of individuals- are all great candidates for specifically targeted onboarding and training content. However, there are several challenges related to updating the training material based on learners’ needs. Even when the training material already exists, what happens when someone in the team finds a better way to do their job? A small iterative improvement might require an investment of several hours and a lot of money. This can significantly pressure training teams. From interviewing Subject Matter Experts to identifying the right andragogy for the content and audience, it can be a real challenge to develop the curriculum tailored for specific departments and job functions. This is the most common kind of training for almost all organizations. Every organization has its own New Hires Orientation (NHO) training programs to deal with newly hired employees. They onboard their employees with various methods of training like traditional classroom, on the job, online, onsite, simulation-based training, etc. Beyond the blanket onboarding process common to every employee, functional teams have a host to share new information with new hires. From communicating the roles of the team’s other members to navigating through a labyrinth of corporate resources, every department will need to explain the tools and techniques critical to their new hires’ success. Learning paths help employees know which courses to take (and in what order) so that they can work toward specific learning goals. When considering eLearning as a tool, it can be combined with a Learning Management System (LMS) to create a learning path for the employees. Every employee should have their own learning path, where they can see the clear direction of their own professional growth program. Converting Instructor-Led Training To Blended Training. In recent years, training professionals around the world have been asked to convert existing training material into eLearning modules. The benefits that come with this conversion can be several, including decreasing training time and allowing students to move through system simulations at their own pace. Empowering Online Τraining Within The Organization. There are great tools available for making eLearning courses; however, these tools’ training is a one-time effort for Subject Matter Experts. By extending the tools of the trade to Subject Matter Experts within a department, Learning and Development professionals can deputize their colleagues, employing on demand training material in an expanding number of applications. For smaller teams, where one individual’s deep institutional knowledge is key to the whole team’s success, turnover can be a nightmare to productivity. When someone leaves, they take their knowledge with them. Developing the training material and documenting the knowledge of outgoing employees can help maintain the team’s workflow, by creating a knowledge base that existing and future employees can rely on to guide their continued work. In all professions there are specific skills and tools that employees need to master in order to perform their jobs successfully. Every organization has its own Crew Resource Management (CRM) and Human Resource Management (HRM) tools to perform basic work. They give some basic training on these tools during New Hires Orientation, and some of these tools and processes are so common that on demand learning material and training workshops are offered by their vendors or private training companies. Giving employees inside these departments the ability to record a screen share presentation of a piece of software, or model great in-store customer engagement, allows individuals to share their mastery with their colleagues for the benefit of the entire team. In business no process, technology, or team structure is permanent. Learning and Development professionals want their colleagues to keep learning, and so do the companies that employ them. Creating employee engagement and maintaining employees’ motivation to learn at work using Learning Management Systems can be the great way to maintain employee engagement in organizations. Using various eLearning techniques like gamification, scenario-based learning, and blended techniques help create effective Learning Management Systems. Especially in Learning Management Systems, social collaboration tools like Chatter, 360 feedback, blogs, and forums are becoming very popular in creating effective learning environments for employees. 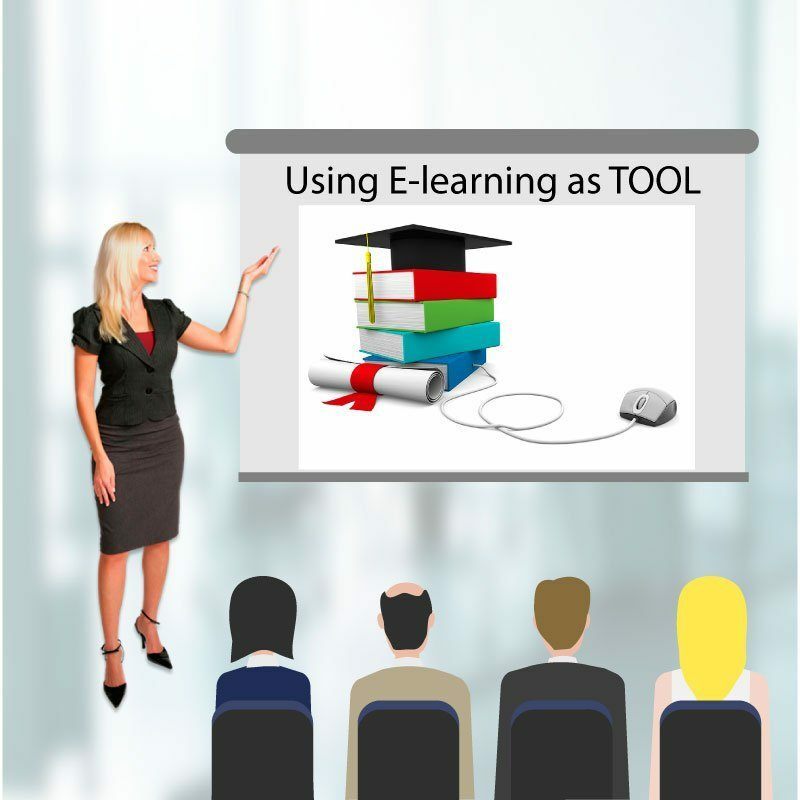 In all above areas we can use eLearning as a tool to achieve Learning and Development success. Not only does eLearning help the organization, but it also creates great learning engagement for learners. We already know that eLearning has many features, but when we consider it especially for Learning and Development, it can be utilized more effectively. While eLearning is becoming the replacement of classroom-level training, it also creates dependability of training in organizations. Nowadays eLearning is getting more and more popular in Learning and Development departments, as in most organizations eLearning is considered, justifiably, as one of the most important elements for training success.